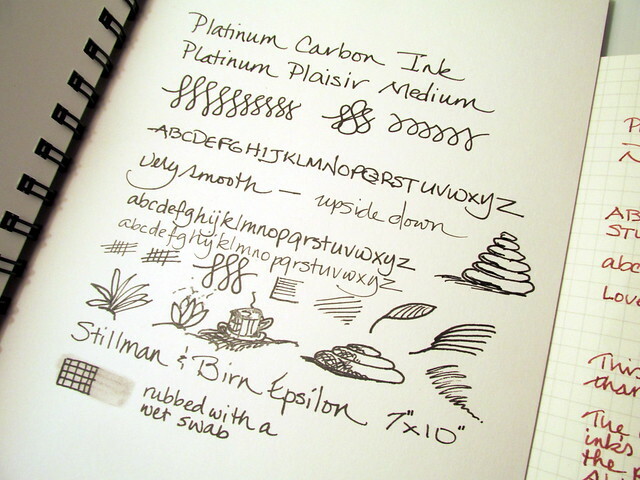 This might sound like a crazy risk, but I filled a Platinum Plaisir with Platinum Carbon Ink months ago and left it idle on my desk. 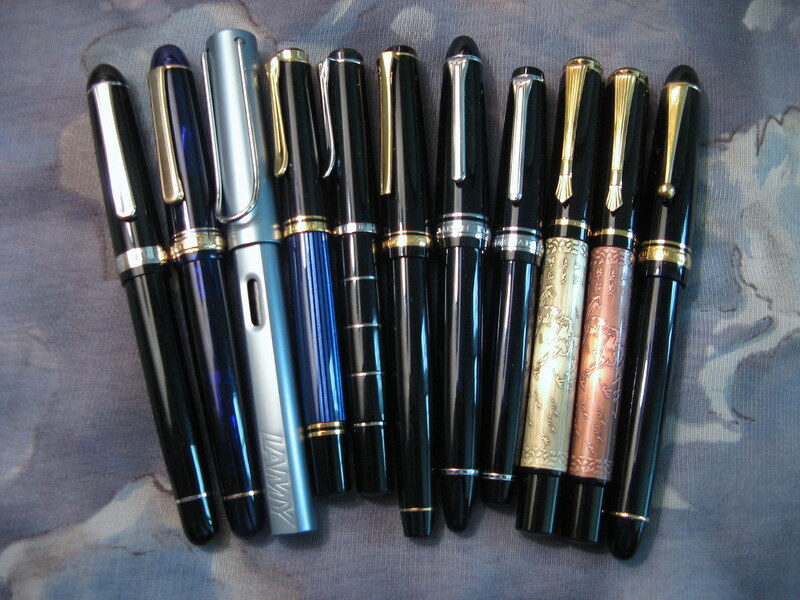 When the pen got a taste of freedom and took a stroll around some junk paper, it wrote well from the first mark. No skipping. No hesitation. Just a clean, black line, no different from when it was initially inked. That Slip & Seal cap really works! Stillman & Birn Sketchbooks with soft covers are as good as it gets especially for those with arthritis and other hand issues. 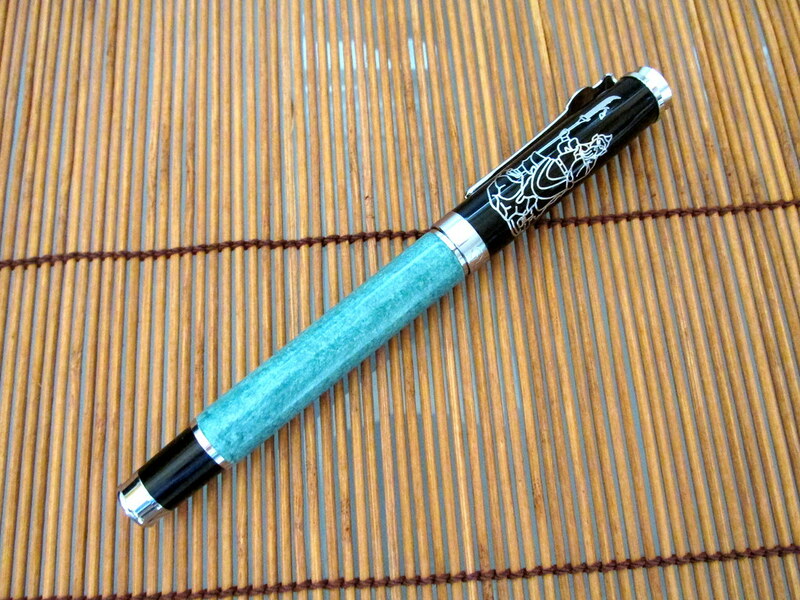 Pilot MR Metropolitan 1.0 Calligraphy nib is an italic that proved to be a dry writer with Noodler’s Dostoyevsky. 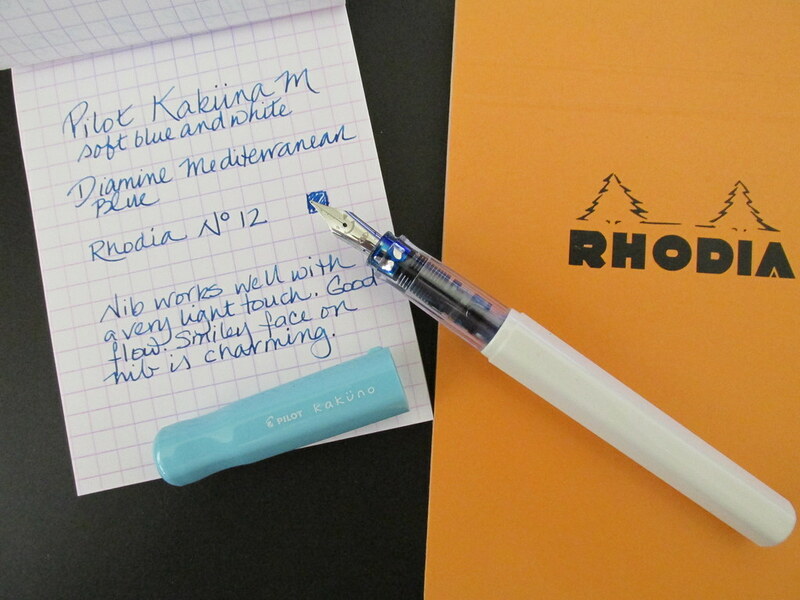 Will try either Pilot Blue-Black or an Iroshizuku next to see if either improves performance. 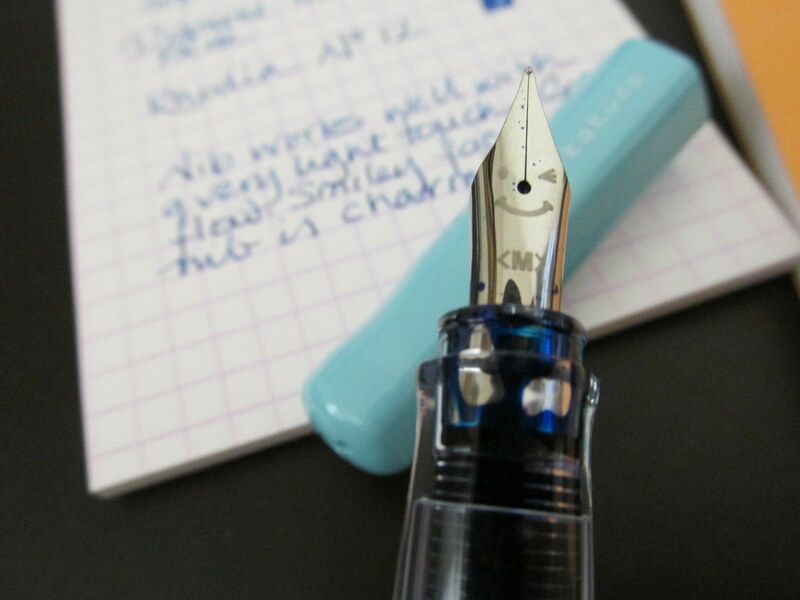 Lamy Studio Fine arrived with two very visible body flaws. 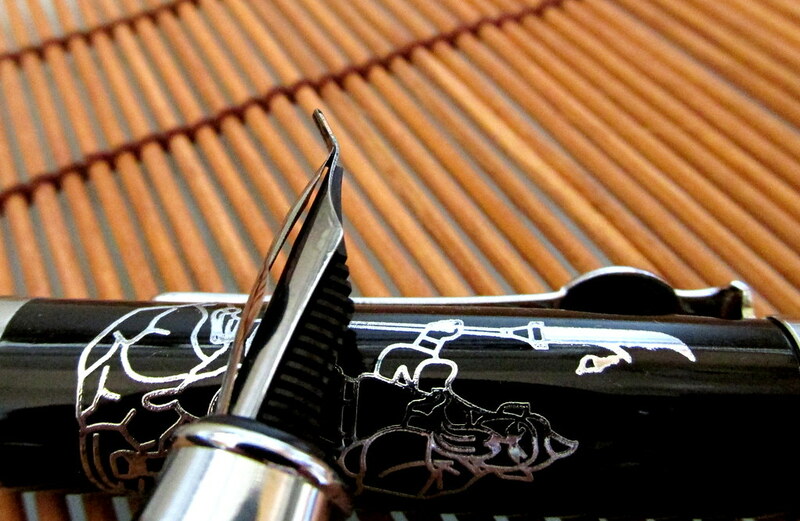 Then I removed the cap to discover the edge of the barrel that meets the cap is ridiculously sharp and jagged. So much for quality control. Coccoina adhesive smells like marzipan and is delightful to use. 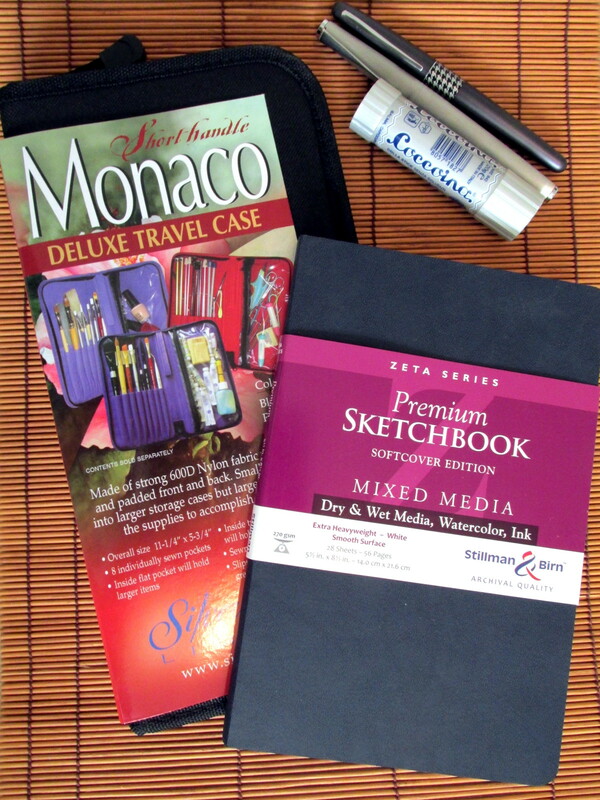 Silver Brush Monaco Travel Case is somewhat large, but will hold eight brushes plus lots of additional tools. Looks durable, too. 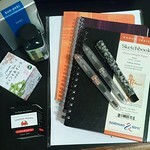 There are at least a dozen inks to review along with several brands of paper plus two Fountain Pen Revolution flex models. The next few months are going to be very busy indeed. 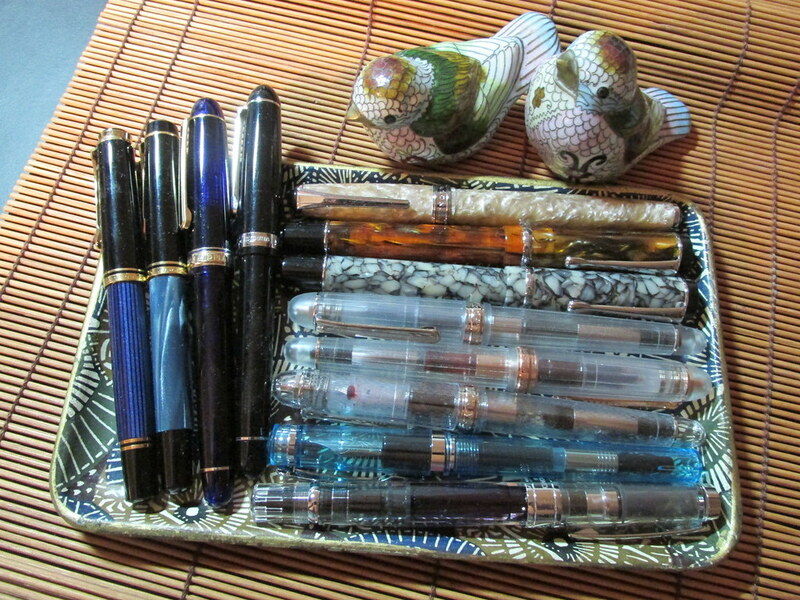 You are currently browsing the archives for the Japanese Pens category.